A couple years ago, two Stanford grad students got together and created a personal search history plug-in and engine called Infoaxe that would surface better results based on your personal browsing history. 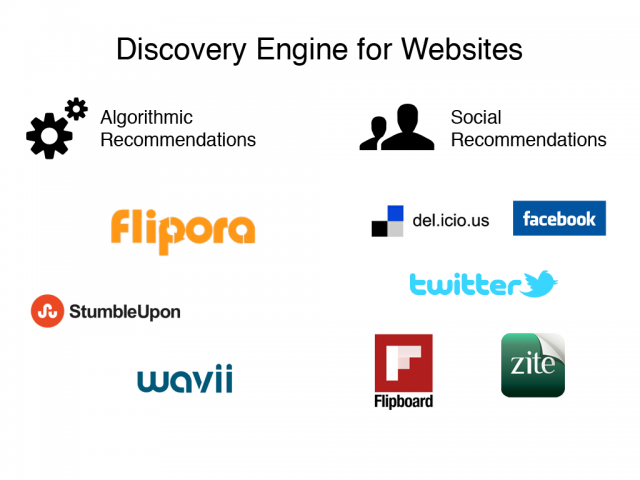 Since then, they’ve rebranded as Flipora, passed 8 million registered users and they’re now adding another key piece to their product — a discovery engine that helps users figure out what to visit next on the web. They’re calling it a “Pandora for websites”. 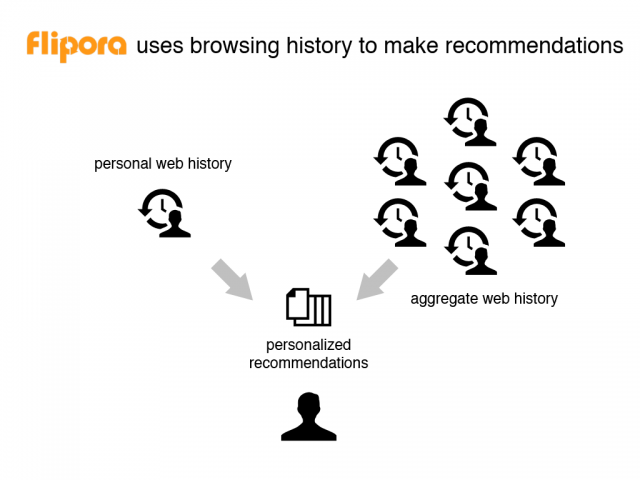 Flipora will look at your personal search history and places you like to visit. You can also explicitly list interests like ‘Music,’ ‘Health’ or ‘Food.’ Then it will also analyze what other people with similar browsing habits tend to look at through the 20 million websites it indexes daily. The data is anonymized and aggregated, of course. 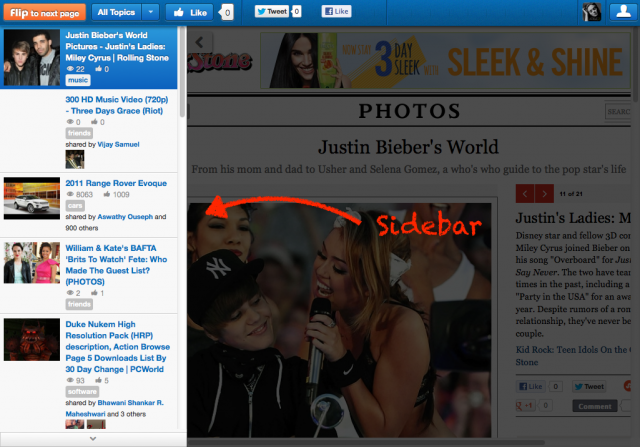 When you browse the web, there is a left-hand sidebar that suggests other eventual destinations. It shows how many people have either liked or viewed the page inside Flipora. Because I already waste too much time on the Internet anyway, I’m not sure I need yet another discovery channel. However, there are other demographics out there that probably want a better way to find content beyond Google and Facebook. Siddharth says that social networks like Facebook can fall short because you’re not necessarily interested in what your friends are interested in. They may have very different tastes in media and music content, for example. Twitter is slightly better but it’s still less accessible to a mainstream consumer base than Facebook is. He adds that most of Flipora’s growth is coming organically, meaning people have come directly to the site to either get the plug-in or log into the product. They didn’t disclose how many daily active users they have. The company raised $3 million two years ago from Stephen Oskoui, the CEO of online advertising company Smiley Media. The company had previously raised $900,000 in seed funding from Draper Fisher Jurvetson, Labrador Ventures, Band of Angels and Amidzad Partners. Gokul Rajaram, the “godfather of Google AdSense, sits on the company’s board.